The North and South Over Bridge are the two iconic symbols of the Kochi city. Both serve as the entrance to the busy commercial areas of Kochi such as the Broadway, the M.G Road and the Marine Drive. Previously it had been decided to demolish the small pathway on the sides of North Over Bridge so that the work on Cochin Metro Rail could begin. The work has presently been held by the administration of the district due to the difference in opinion between the State government and the Corporation. The Corporation is of the opinion that demolition and renovation of the bridge wouldn’t by any case, be beneficial for the present situation of adjusting the congestion of traffic. Though the Railway department is of the opinion that the Delhi Metro Rail Corporation has obtained the sanction for carrying out the work, the Town Planning Committee puts forth their part that byroads should be renovated first in order to reduce the traffic congestion rather than carrying out the renovation of bridge. 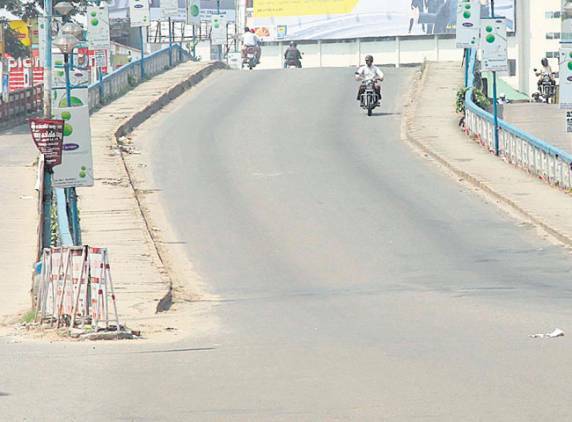 Roads leading to the Pullepady Bridge have to be brought to good condition and a flyover from KSRTC Stand to Salim Rajan road should be the initiatives taken to minimize the traffic congestion. Besides this, neither was a plan produced or provided to them regarding the demolition of the bridge nor was a meeting held on the same, although prior works of acquiring land at Manappattiparambu to store the machinery was planned, which shows that the demolition work is at stake. Also when the new government assumes power, the work will also be slowed down! The Town Planning Committee is not supporting the Metro rail project as the project would be useful in the city only if the population is 5 or 6 times the present population. What do you think about the Metro Rail project? Will be serve its purpose for a city like Kochi? Will it help reduce the congestion and help us get to places quicker and cheaper and in a comfortable mode of transport? yet miles and miles to cover for this dream. maybe the another three generation could see this..
Metro rail in not at all important for a city like kochi. First thing to do is widening the road and keep the city away from traffic jam.If metro rail work starts before widening of road the whole city will in bottleneck. I think suburban rail will be much more suitable for a city like kochi with small roads. The roads ought to be broadened first, primarily the ones that lead to the Pullepady Overbridge and the proposed Salim Rajan Flyover. These will most definitely decrease the traffic congestion. Once these are done we can proceed to the overhauls of the North and South overbridges and consequently the Kochi Metro project. i don’t see any point in waiting till Kochi reaches a size where a metro rail is absolutely necessary, the fact is if we can get it done in advance then we can avoid all sorts of chaos. B’lore M.G Road is 4 times wider than kochin MG road, but got closed partially for 2 years @ time of metro rail construction.So do u think that roads in kochin(pulleypady or wat ever it might be) which are too small in width will be able to handle traffic block when roads gets closed for metro rail construction which is panned to constructed over the median of MG Road? In this modern era any development that eases traffic congestion should be implemented at the earliest. In the course of time there will be an escalation in the number of vehicles which will lead to acute traffic congestion under these circumstances metro can be a good alteration. Let’s get one thing clear – for ANY metro project to be successful – there are three elements: 1. Feeder roads and buses taking commuters to and away from a station. 2. Lesser number of cars on the roads is the aim – that means tolls for cars entering the city limits and 3. parking spaces outside the city limits or around the station to facilitate regular paid commuter parking. We don’t have the land for it. period. BUT as has been displayed by each and every new feature that sprung up in Kochi – the public loves change and embraces it. The number of malls, multiplexes and 5 star hotels have no relation to a metro because they do not necessarily have an overlapping customer base. and in the case it does – the number of customers in the malls aren’t enough to keep a metro running. Widening and improvement of roads is necessary and is priority number one whether there is a metro or not. The Town planning commission should prolly state why they haven’t yet finished the works despite being in the fag end of the season and the Pullepady bridge being finished 1.5 years ago and commissioned this year. I think the bridge should be widened, hopefully without demolishing the Udupi lodge. The roads should also be relaid – not repaird. Please do it.